It’s Daring Bakers time again! This month the challenge was to make lasagna. I know this sounds kind of boring but leave it to the Daring Bakers to throw a wrench into the works. 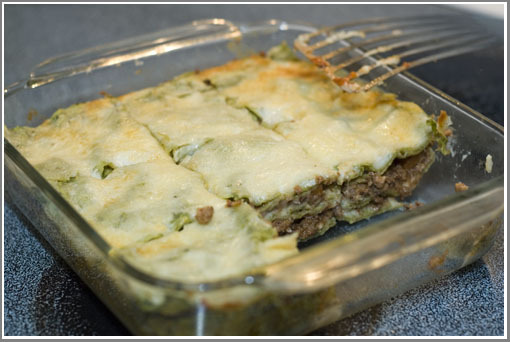 Our task was to create an Italian inspired lasagna with handmade spinach noodles, a thick rich ragu, and a creamy white bechamel sauce; a piece of cake, right? Now I’m no stranger to handmade noodles, but these spinach noodles were a bit different. 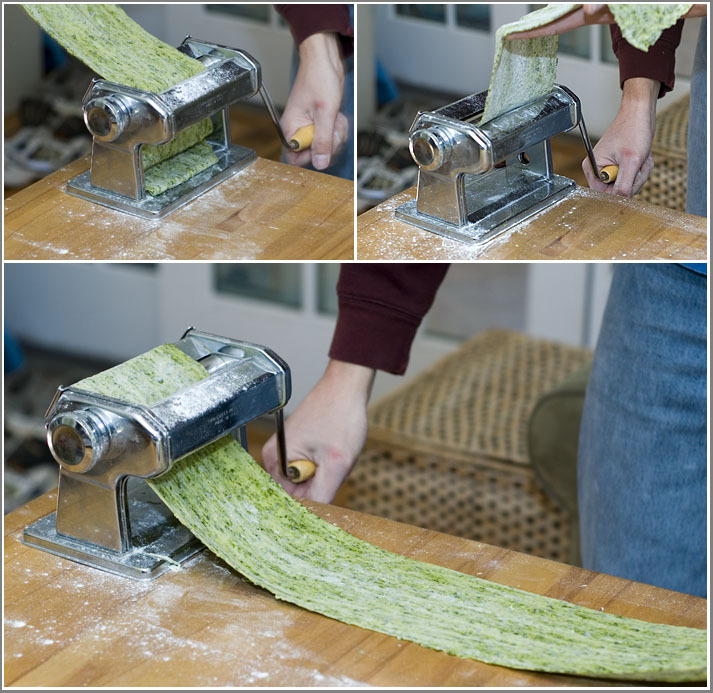 These spinach noodles contained not a spinach puree, but chopped spinach that was worked into the dough. 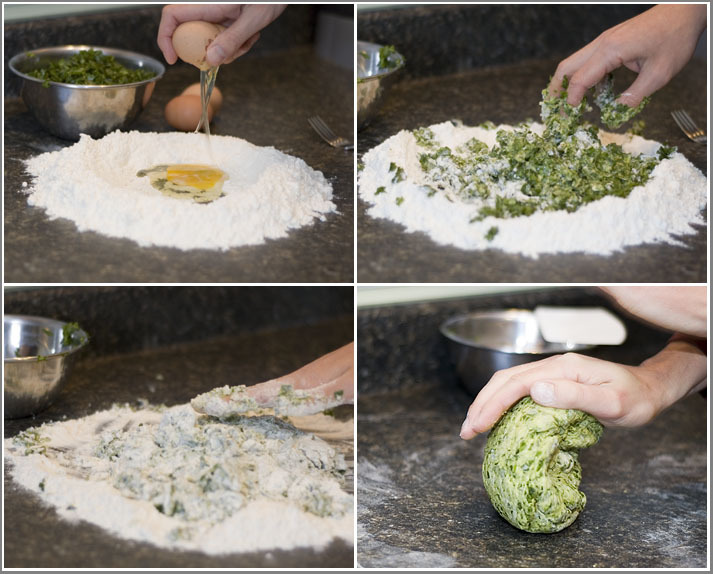 The addition of the whole spinach made rolling the dough a bit tricky, and I even cheated and used a pasta machine. While my pictures may show some beautifully crafted noodles, what you don’t see if the pan or two of noodles that got ripped, torn, and wadded into a doughy mess. I was able to get more than enough noodles out of the recipe so there wasn’t an issue. The country style ragu may well have been one of the most expensive pasta sauces I have ever created. The sauce contained meat, meat, and more meat, some wine, assorted veggies, and a few tomatoes. I resisted the urge to add some things I would have liked in the sauce like a nice handful of garlic or a good deal more tomatoes. The sauce cooked for what seemed like an eternity but in the end yielded a nice thick ragu. If you’ve ever made lasagna before, assembly wasn’t anything difficult. All that was required was alternating layers of bechamel, cooked noodles, ragu, and cheese until the pan was full. My pans were only small eight inch pans so I was able to get two whole lasagnas out of this recipe. Peeps aren’t born, they’re MADE! great job on the lasagne! looks absolutely d’lish!